Situated on eastern town entrance, 1 km from town center, Anita Apartments offers you four modernly and well equipped apartment giving you the most possible comfort. Two 40m2 large apartments on top floor, each with one double bedroom (and a pull out couch for one), fully equipped kitchen/living room with a double bed, bathroom, air-conditioning, T.V. and satelite, and two balconies with a view on the beach, are ideal for a family of four. 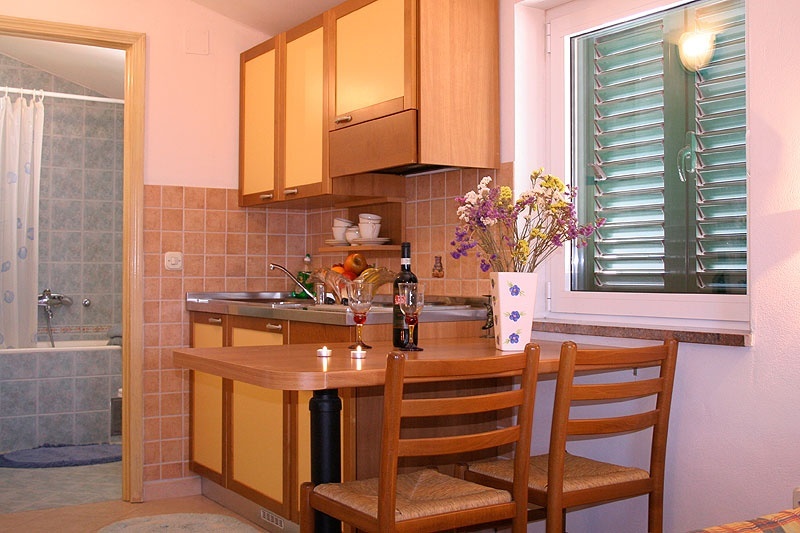 Fully equipped studio apartment on top floor is ideal for couples or business people. There is air-conditioning and T.V./satelite in the apartment. No balcony. 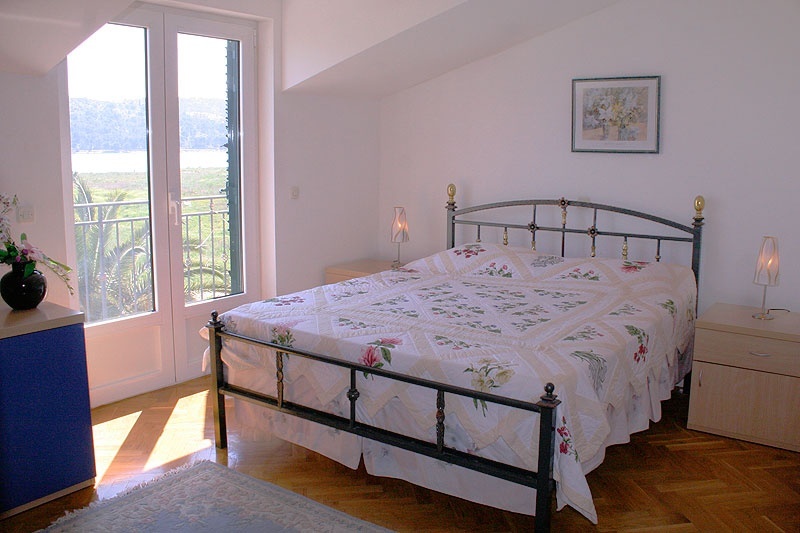 An apartment for four on the bottom floor (35m2) is ideal for families with small children or for older people. 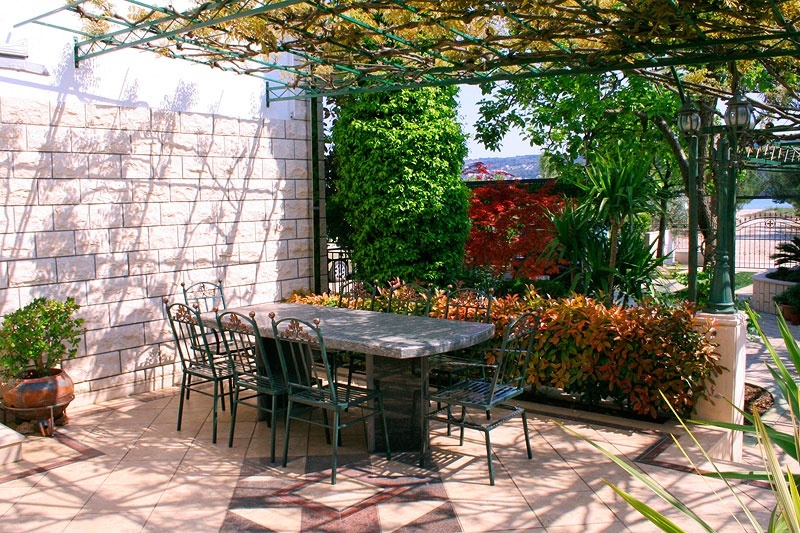 Guests also can use the large terrace in front of the apartment for relaxing. All guests can enjoy the usage of the grill/barbecue, outdoor shower and Wi-Fi for free. There is private covered (shaded) parking for cars. The beach is 30m away. 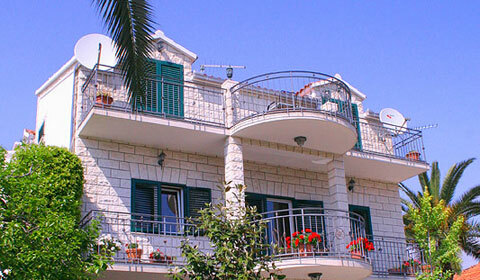 3 km from Airport Split, 30km from Split.